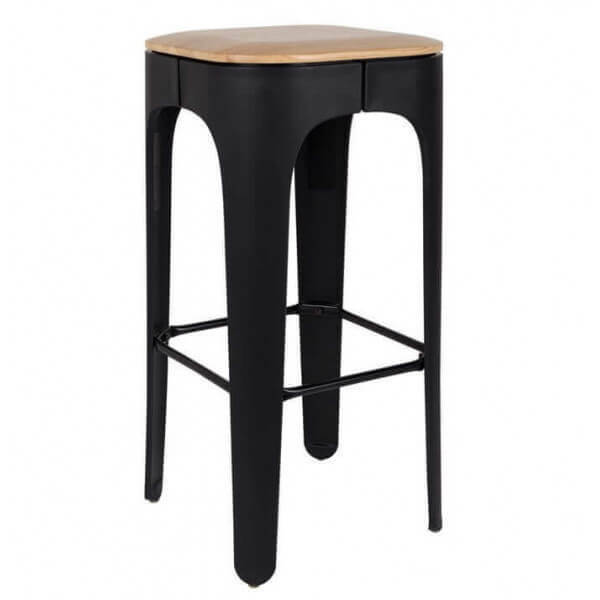 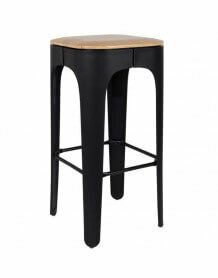 The industrial-style Up High bar stool combines an ash wood base with a resin base and a steel footrest. 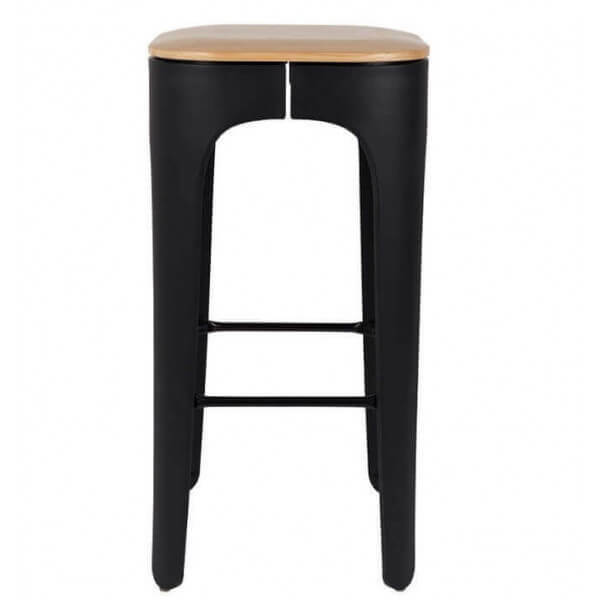 This bar stool in original design and very elaborate design is ultra trend by the contrast of materials and colors. 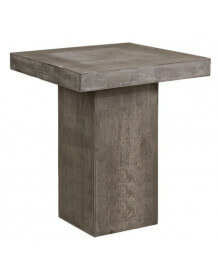 Thus it adapts as well in an industrial interior as contemporary. 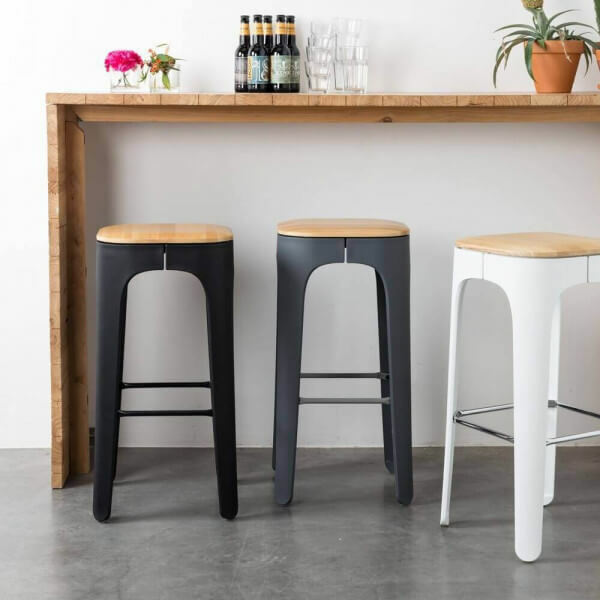 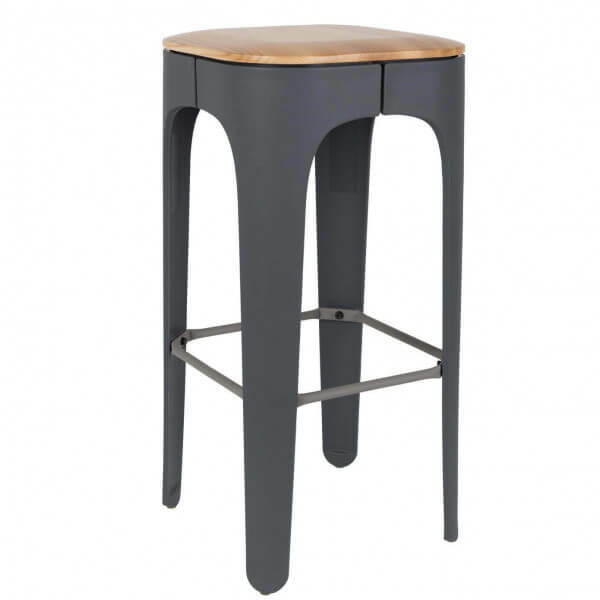 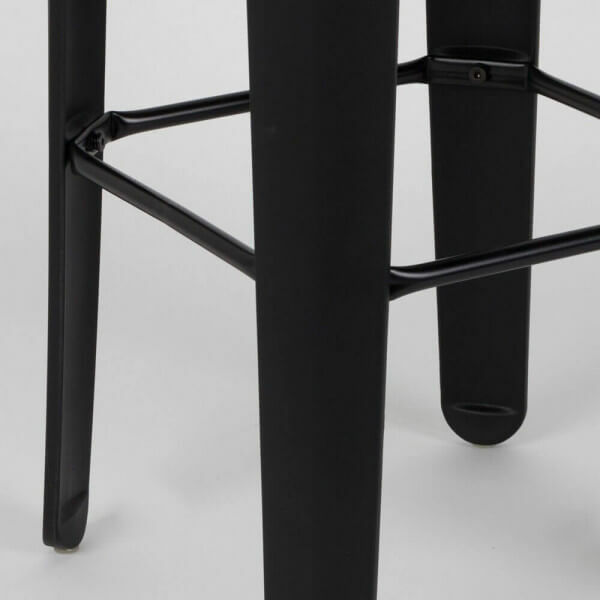 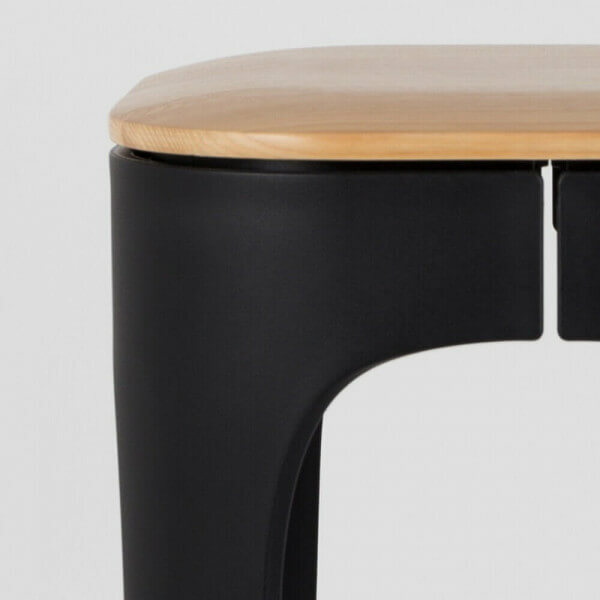 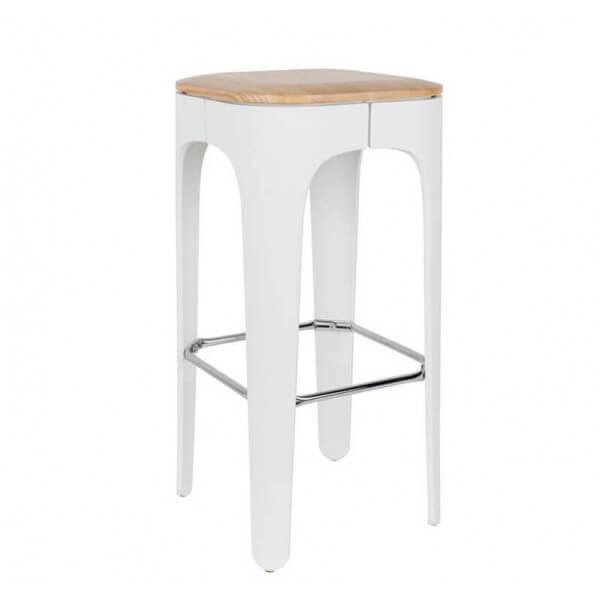 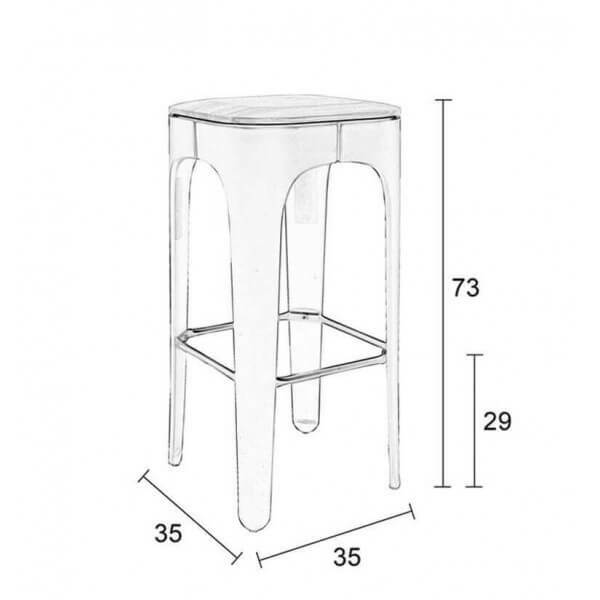 The Up High bar stool comes in three colors: black, white, dark gray. 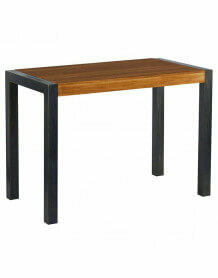 Supplied ready to assemble with supplier's instructions.